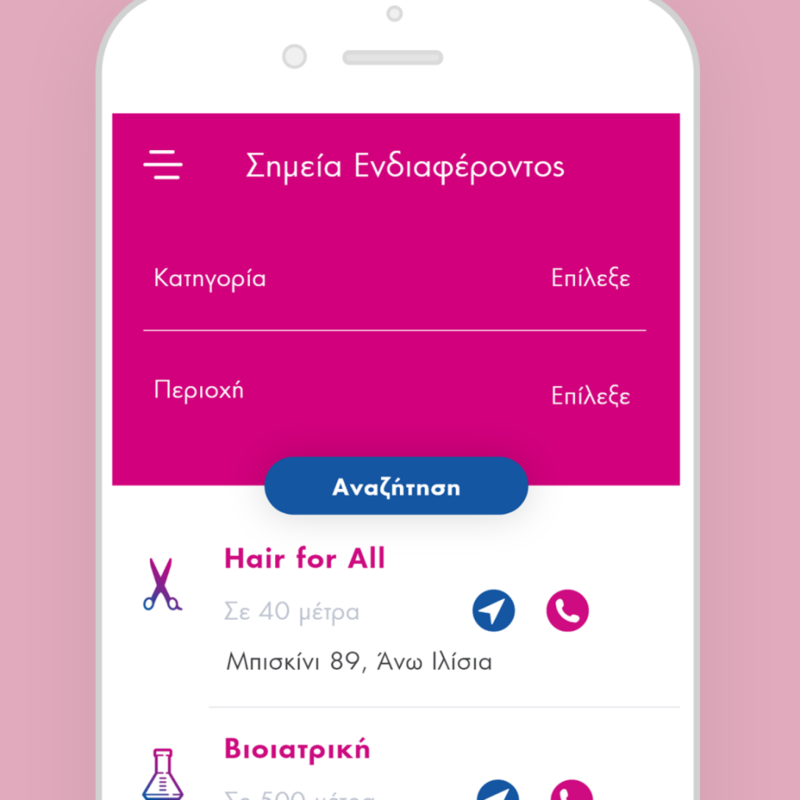 … a mobile app for every woman living with metastatic breast cancer. If you are diagnosed with metastatic breast cancer, we have built a tool so that you can have all the information and support you need… on hand! We know that being diagnosed with metastasis is a fact that changes patients lives and creates a new reality for them. created a mobile app that aims to become a useful tool for every woman with metastatic breast cancer. will help them improve the quality of their lives and increase healthy behavior and, last but not least, to get recommendations on how to improve their everyday life. The mobile App “My Alma” is made possible by the SPARC GRANT, that was awarded to “Alma Zois”, through the UICC/Pfizer Inc partnership. creating a profile for personalized experience. My body: Records of the physical state and improvement suggestions according to users medical condition. Goal System (alcohol reduction, mild exercise, smoking cessation) that rewards every “achievement” you make that improves quality of life and increases a healthy behavior. Empowerment Wall: Every user can publish supportive messages on the strength and hope “wall”. Calendar: Personal Calendar to record important events, medical appointments and therapies for better management of everyday life. Furthermore, a calendar that includes “Alma Zois” events and programs that might be of interest, with a reminder option. Videos with simple yoga and mindfulness practice and emotion regulation tips. Information: Medical Articles, news and tips. Points of Interest: Records of the closest points of interest that women with metastatic breast cancer may need (Hospitals, Pain Clinics, stores with items suitable for women with breast cancer), including maps, access instructions and contact information. Explanation of terms related to metastatic breast cancer. Side Effects: explanation of the main side effects of chemo therapies. 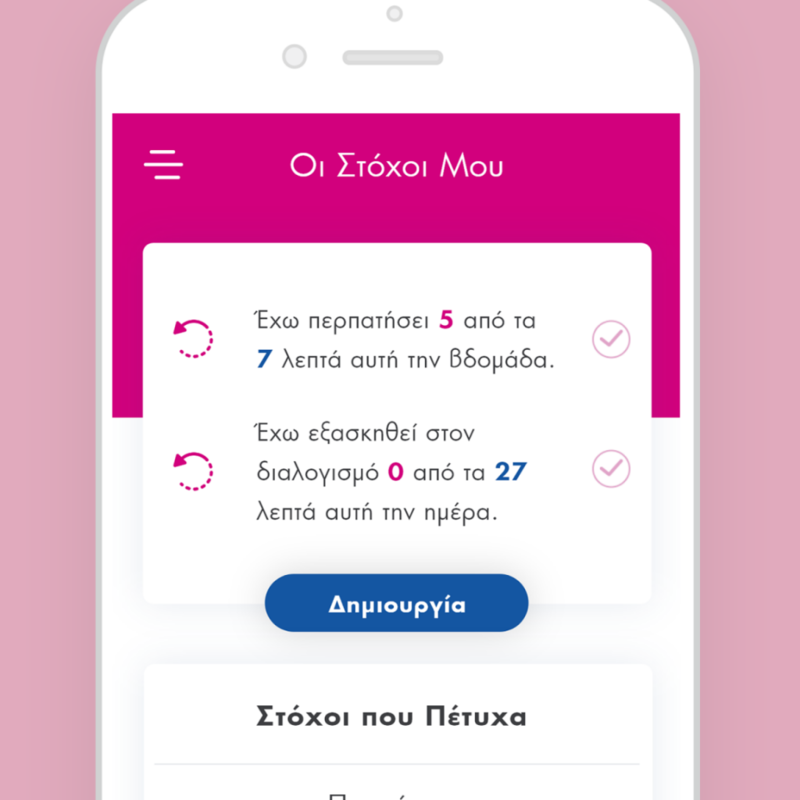 Everyone interested in the app can get connected as a guests and be able to obtain basic information about metastatic breast cancer. The mobile app “My Alma” is designed for both Android and IOS mobile devices and is available for free download from Google Play and AppStore. 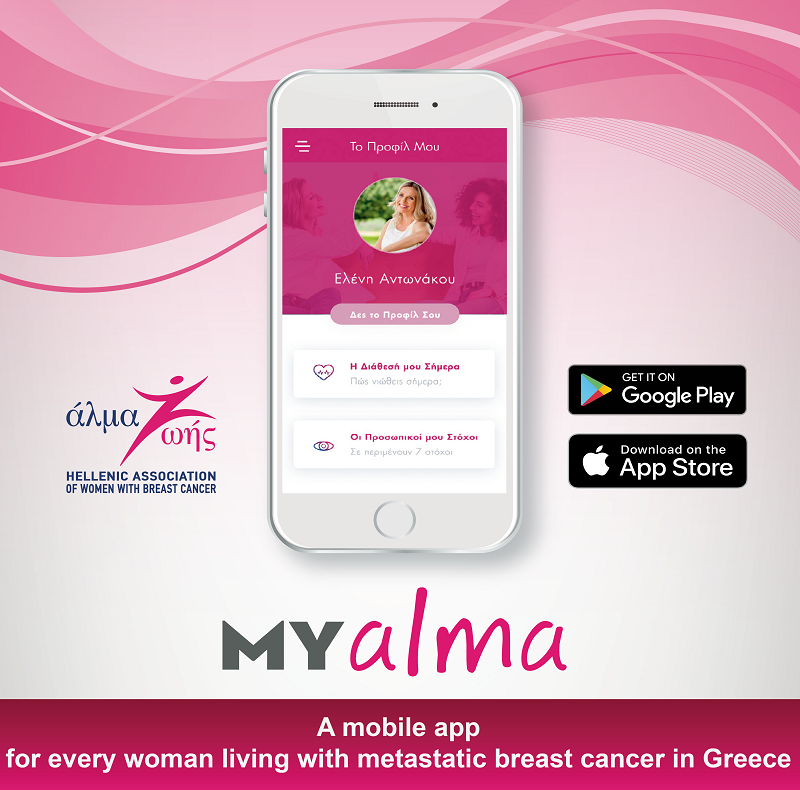 If you are a woman with metastatic breast cancer, create your profile and discover all the features of “My Alma” mobile application.